Absalom Jones, 1810, by Raphaelle Peale. Credit: Delaware Art Museum, Gift of Absalom Jones School, 1971. 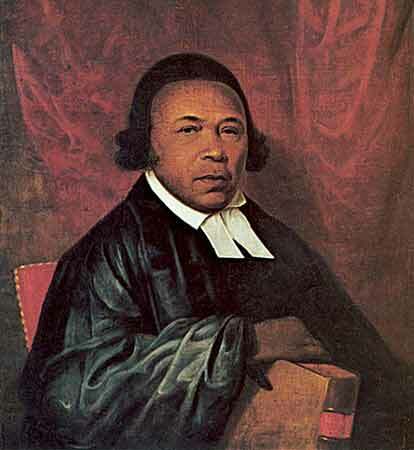 After buying his own freedom in 1784, Absalom Jones (1746-1818) worked with Richard Allen in the founding of the Free African Society in 1787 and the nation's first independent African-American church. From 1794 until his death in Jones served as pastor of African Episcopal Church of St. Thomas in Philadelphia.